My Kindle is currently my best friend and so I thought it was about time I bought it a nice shiny new case. I've been using an Accessorize makeup bag to house it in since getting it, but after investing in this beaut case from Not on the Highstreet I'm wondering how I ever got by without it. It's basically in the style of a book in that it flips open and your kindle sits snugly inside. 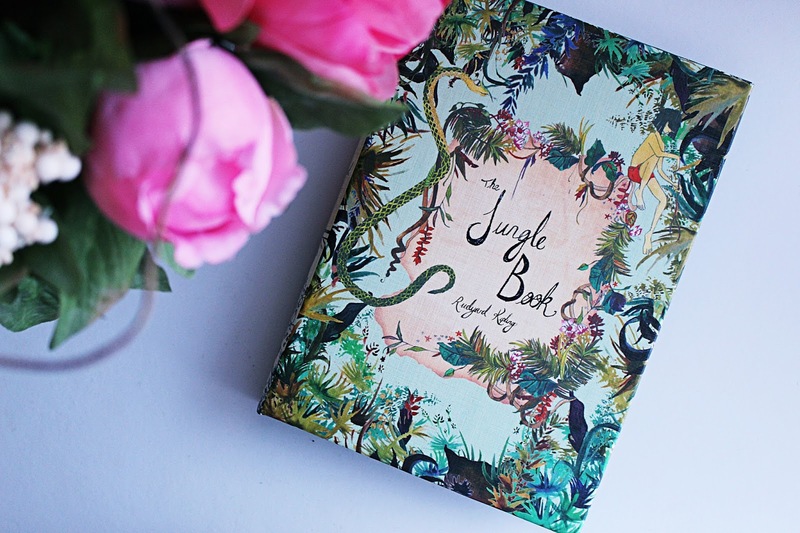 There are lots of different covers available but I fell in love with The Jungle Book one - it was one of my (many) favourite Disney films as a kid and the illustrations on the front are just gorgeous. It's lovingly handmade and even comes with a cute note inside - adorable! You can even get it personalised if you're looking to give it as a gift. I love it and completely recommend the case if you're looking for one to keep your Kindle looking nice and smart. Just before Christmas I was sent a big bundle of goodies from The Blogger Programme, including a beautiful package from Sass & Belle (my favourite homeware website EVER), which had these stunning little stacking suitcases in. These match my room perfectly and are fab for storing bits and pieces - jewellery, books, dvds, knick knacks - anything really. 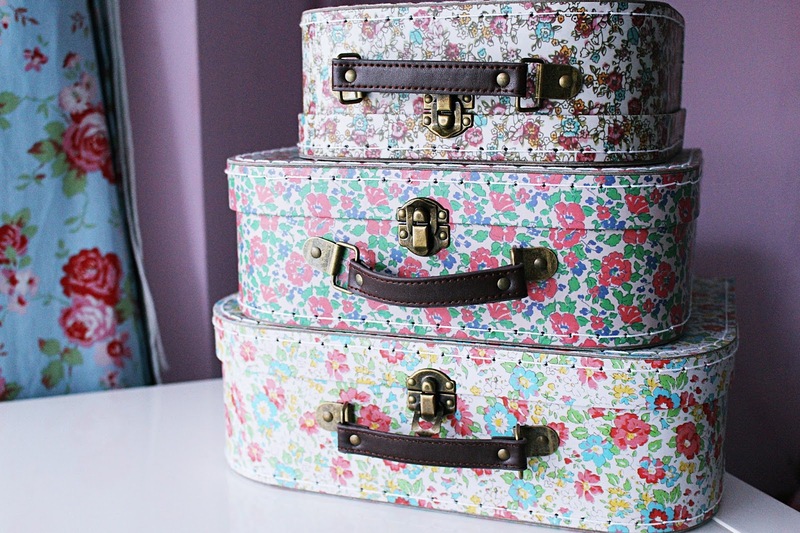 I love them and think every vintage-inspired room needs some suitcases like these! A little while ago I was introduced to the Trollbeads brand and sent this beautiful bracelet and bead from Joshua James Jewellery. 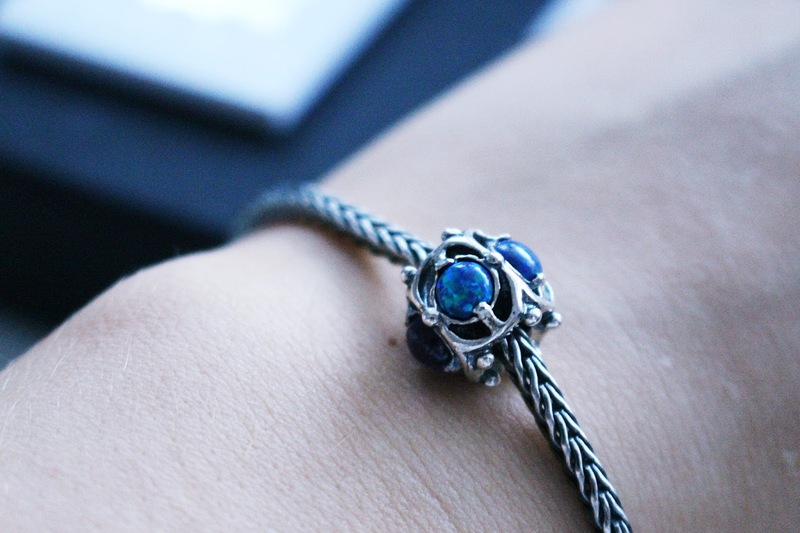 There are a lot of charm/bead bracelets on the market at the minute but Trollbeads is one that really stands out as being unique in my eyes. Their selection of beads is stunning, and I was so delighted to be sent the 'Wisdom' bead, which features an opal for loyalty, an amethyst for peace of mind, a turquoise for courage and success, a garnet for devotion and grace and finally a lapis lazuli for competence - basically everything anyone could ever need! I love that there is a meaning behind the bead and the bracelet itself is gorgeous too - and a great price at £35. The bead is a little pricey at £95 but they have a variety of different beads at different prices and I think this one is just stunning. I also have my eye on this little fella to add to my bracelet - how cute?! I love that these beads have strong meanings behind them - jewellery with a meaning makes it all the more special. Okay, so we might be in February but that didn't stop me ordering this beautiful calendar from Amazon after spotting it on Instagram a couple of weeks ago. 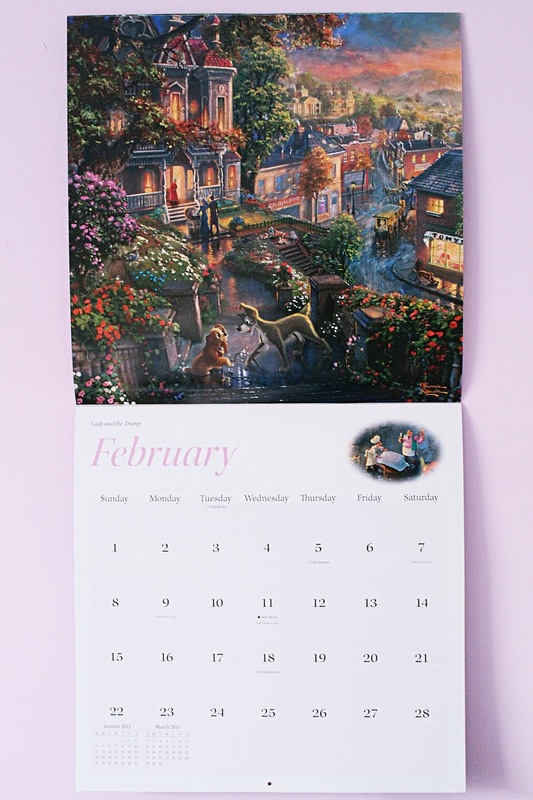 I was in desperate need of a calendar and as soon as I spied the incredible Thomas Kinkade Disney Dreams Calendar it fell straight into my online basket. Each month has a breathtaking Disney illustration on, and although I'm pretty sure the calendar dates etc. are American, it doesn't matter as this calendar is just too pretty not to resist! It looks so cute hanging on my wall and I definitely think I'll be cutting out and framing some of my favourite illustrations once I've finished with it! Speaking of Disney, how could I not resist this beautiful Ariel jumper from Sheinside?! 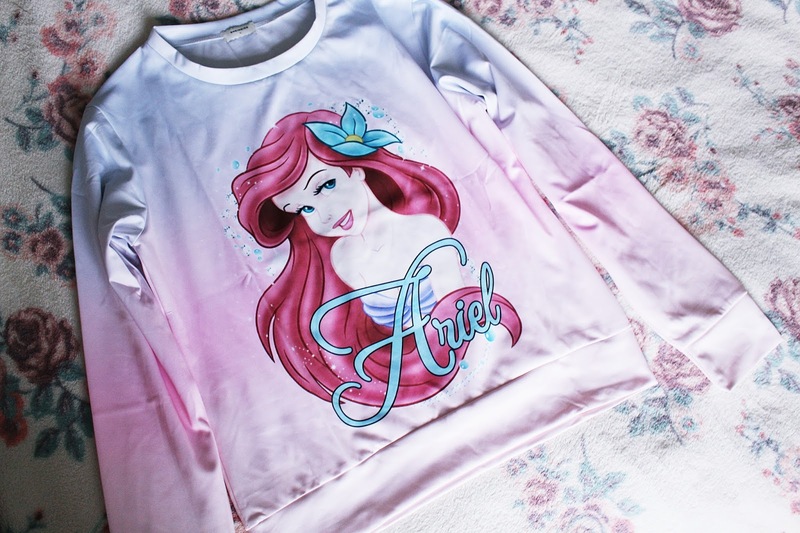 I'm all about my Disney jumpers and this one is so pretty - I love the colours and of course I'm a big fan of Ariel! I think it's perfect for Spring and will look amazing with a tan. It's a really good price too - having bought from Sheinside in the past I do find their sizes come up a bit small but considering they're an overseas company their length of delivery is really good. I cannot wait to wear this! I love my candles, and every time a new candle brand pops under my radar I have to give them a try. 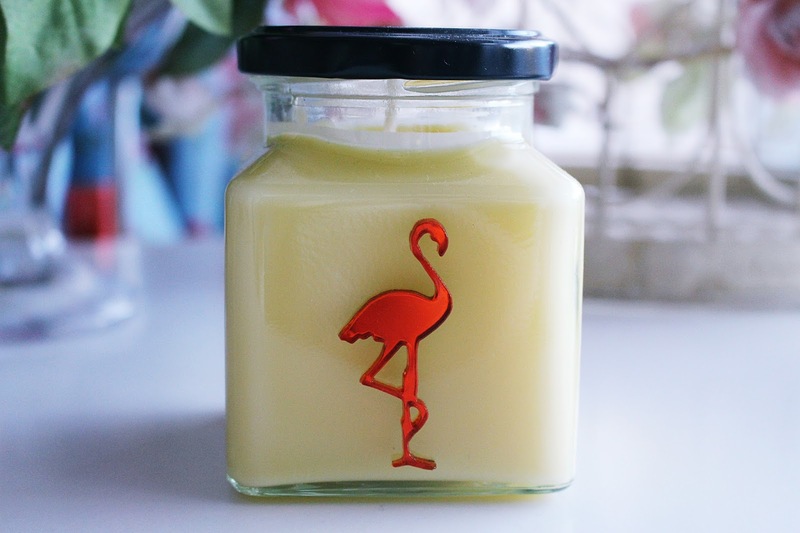 I'd been meaning to place an order from Flamingo Candles when the lovely ladies at Benefit Cosmetic dropped me a Christmas pressie including one of the gorgeous candles. The best thing? It's the chocolate orange candle, and chocolate orange is one of my favourite things in the world ever. It smells INCREDIBLE and I know the candle itself is going to last me a good while. It also looks so pretty sitting on my shelf! The only downside? It makes me crave a Terry's Chocolate Orange like mad! What little things are you currently loving at the moment? Let me know!